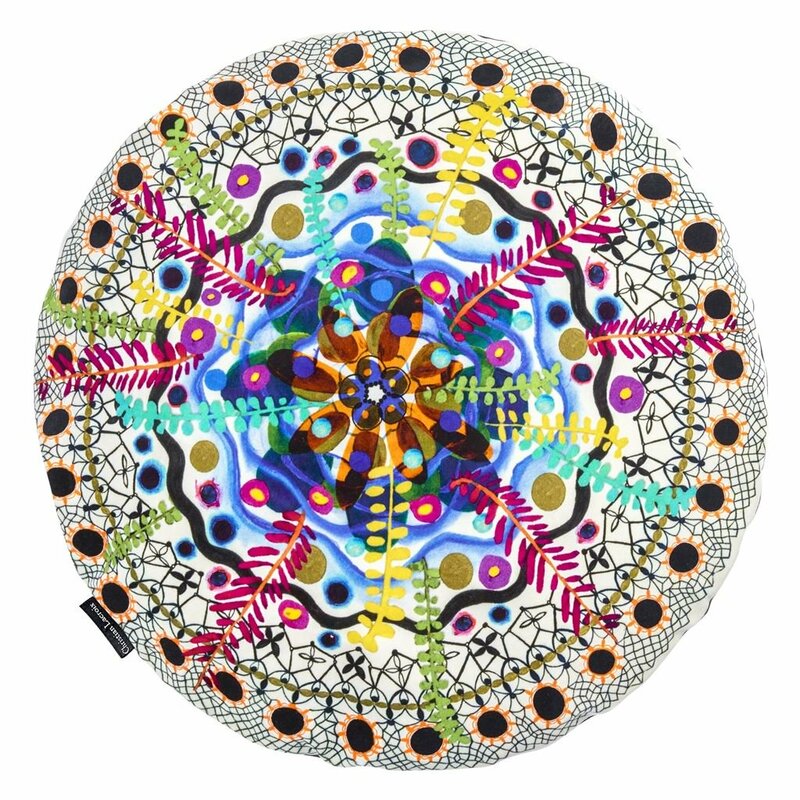 A colourfully decorative round cushion by Christian Lacroix. 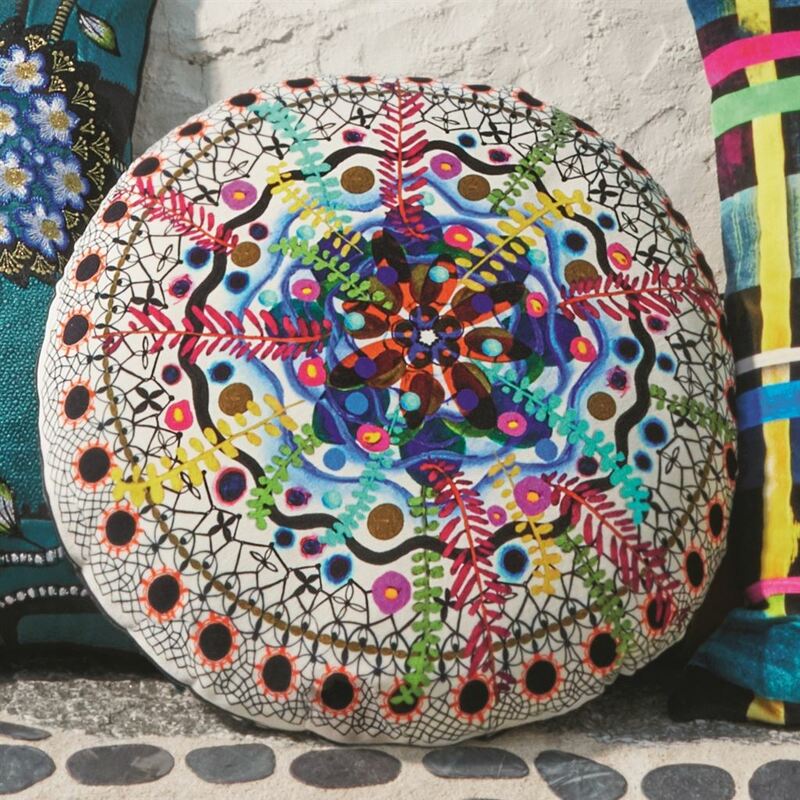 A kaleidoscope of patterns in vivid shades digitally printed onto velvet. 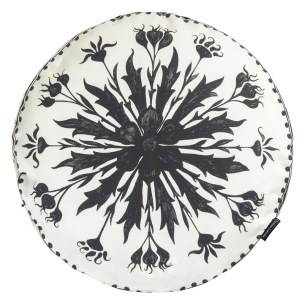 This stylish designer cushion is completed with a monochromatic pattern on the reverse. 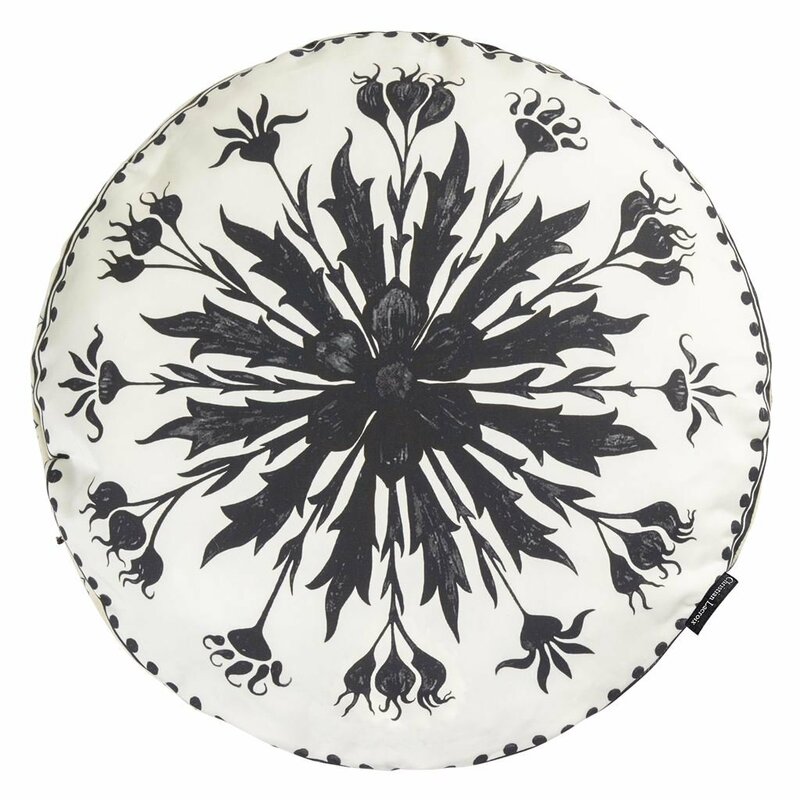 Why not coordinate with our best-selling Varese velvet cushions?